Many of today’s electronic devices are portable (e.g. laptops, tablets, and smartphones), thus need protection against accidental drops. A conventional case covers the entire device (e.g. laptop sleeve case), or covers the entire device except the screen (e.g. smartphone case). For the purpose of drop protection, this is an unnecessary degree of protection that wastes material and adds bulk. 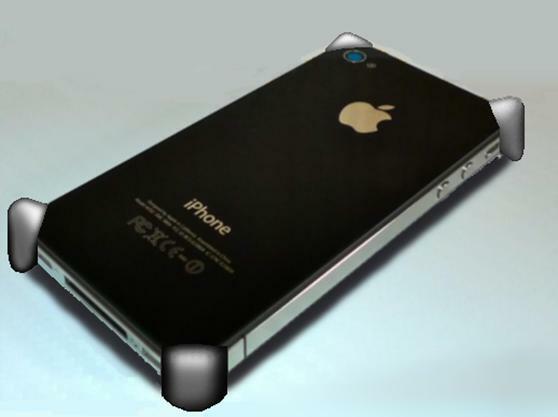 Corner protectors have many advantages over a conventional case which unnecessarily covers the entire surface of the device. It is a lot less bulky. It uses a lot less material, so it is much cheaper. More importantly, manufacturers can stop trying to protect a device with a hard, thick external shell (e.g. all portable devices) and save on material costs. When the device is on a table, corner protectors make it easier to pick up by elevating it. Scratches only occur on the corner protector, instead of the entire surface. It replaces the function of rubber feet seen in laptops. The surface of the corner protector can have high traction to be immovable on tables, or it can have low traction to slip in and out of pockets. 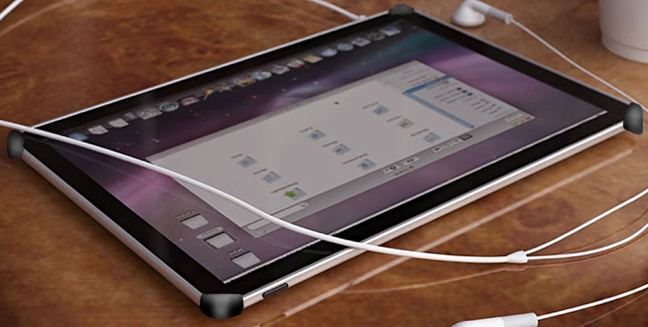 For an existing portable device, this invention can attach with adhesive, or as a leaf spring like a binder clip. 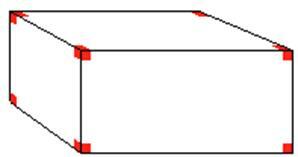 For future devices, manufacturers should comply with a standard: cuboid in shape and mounts at the corners. The mount can be a simple screw hole or peg. Ideal would be for future devices to come pre-installed with shock-absorbent corner protectors.